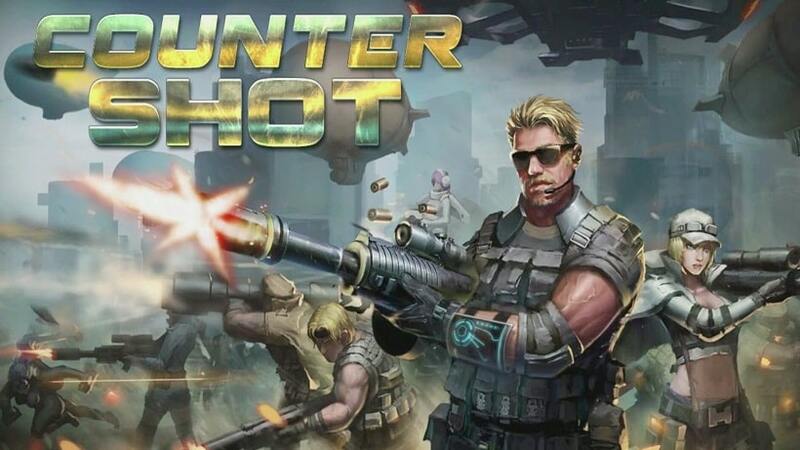 Developed by Doodle Mobile Ltd., Counter Shot is a first person shooter game that requires you to bring peace to a war-torn world. The strategy based combat takes you to the year 2033 when tension is intense amongst world’s superpowers. You should lead and command soldiers to launch attacks against your opponents which are rebels and terrorists. 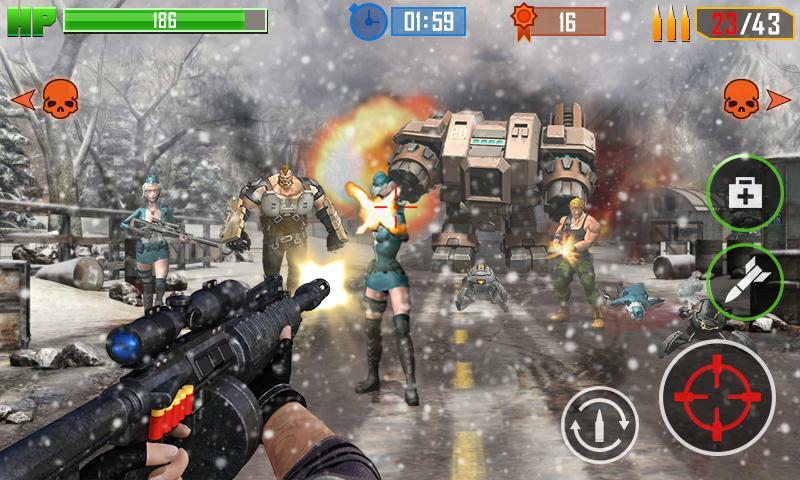 The action game is designed for Android and iOS platforms, but it can be installed on PCs with the help of an Android emulator. 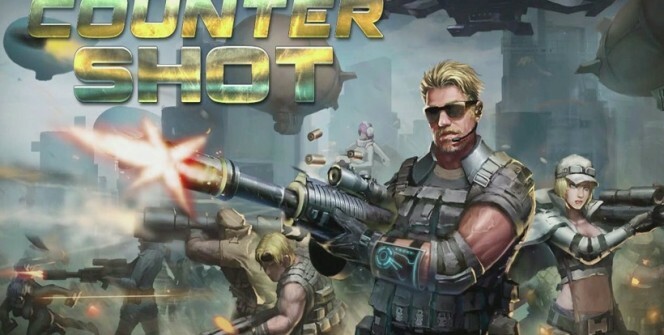 In order to emerge as a hero in Counter Shot, you should strive to get and use the most powerful machine guns. You can go for cannons which have a horrible firepower and provide the best point defense. You can also use a gun turret which provides a longer defense range and can work for both air and ground attacks. When you want to perform mass destruction with a gun, go for the missile turret. This is a powerful weapon that takes down your enemies more efficiently. However, it can only be used in ground attacks. In addition to machine guns, Counter Shot provides you with other deadly assassin weapons that you can use to clear your enemies. There is a heavy mortar that you can use to sweep down foes in certain areas. There is also an air bomb that you can use to cause devastating damage to multiple units. In addition, the game provides you with landmines that you can use to cause an enormous damage to your opponents. You will have a good access to weapons in the game, but the most important thing is to know when to use them. It is advisable to use them when it is necessary to avoid running short of them in crucial stages of the game. While you push forward battling your enemies, you should be able to create a strong defense that can resist counter attacks. Make use of a strong wall to keep your bases safe. You can also use a laser tower which flashes destruction to an area occupied by opponent armies. In addition, the game provides a thunderbolt which brings some fighting energy in bases and battlegrounds. In order to succeed in more challenging war zones, you should upgrade your weapon or get new ones. The best thing about Counter Shot is that all the weapons can be upgraded! When you move from one level to another or make achievements, you earn some bonuses that you can use to upgrade your fighting equipment. While there is a lot to be careful of in this action game, there are some specific things that you should be more careful about. Be able to identify bombs and landmines that are hidden under earth. You should also be able to watch out for thorns which can reduce your efficiency considerably. If you want to play the game on a bigger screen, you can install it on your laptop, desktop or MAC. Just install a suitable Android emulator on your PC and you will be able to download the free game app. Sometimes when playing Counter Shot, bluestacks ask you fee to pay but gives you option to download some apps. Every time it asks you just select “Install apps” and continue using it free. I hope you enjoyed this article, please rate and share. If you have problems running Counter Shot on desktop or any other issues, leave a comment below.